A Slip and Fall Attorney for South Florida plays a vital role in how a case ends. If you hire the right attorney you will have a greater chance of winning. When you have been injured in a slip and fall accident, contact a personal injury attorney right away to seek the representation you are entitled to. Robert E. Gluck has the right credentials and experience necessary to successfully pursue a slip and fall claim. A slip and fall could take place in any location, even on someone else's property, and it can be a result of falling on wet or uneven floor, using a damaged product, walking in a badly lit area, or even from insufficient hand rails. Robert E. Gluck, your Slip and Fall Attorney for South Florida has to show negligence was present at the time your injuries took place. The opposing party will be held accountable for your injuries and have to pay for your medical bills if negligence can be proved. Robert E. Gluck is very familiar with the laws that govern slip and fall injuries, and knows how to show negligence in order to file a slip and fall claim. With Robert E. Gluck at your side, fighting for your legal rights, you will be at a great advantage. Contact Robert E. Gluck today to schedule a free consultation to speak about your accident and injuries. Your Slip and Fall Attorney for South Florida, Robert E. Gluck, will help to increase your chance of receiving a high settlement. Studies show injured persons with an attorney representing them have a greater chance of getting financial compensation. 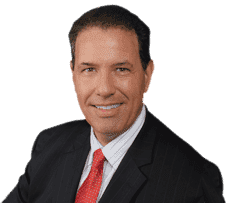 Robert E. Gluck is one of the best personal injury attorneys in South Florida, and you will be at a huge advantage with him fighting for your rights. You will feel less stressed out and have more confidence about your case. There is no reason to take any risks if you don't have to, hire the right attorney! Your Slip and Fall Attorney for South Florida, Robert E. Gluck, will find witnesses and obtain their witness statements. He will look for property damage and take pictures of the accident scene. Robert E. Gluck will secure video footage if any is available, and he will gather any other information he can find for your case. He will use all the evidence he finds to build you a strong case. Hire an attorney as soon as possible after you accident, an early start on an investigation is always a good thing for a slip and fall case. You will have a better chance at winning your case!